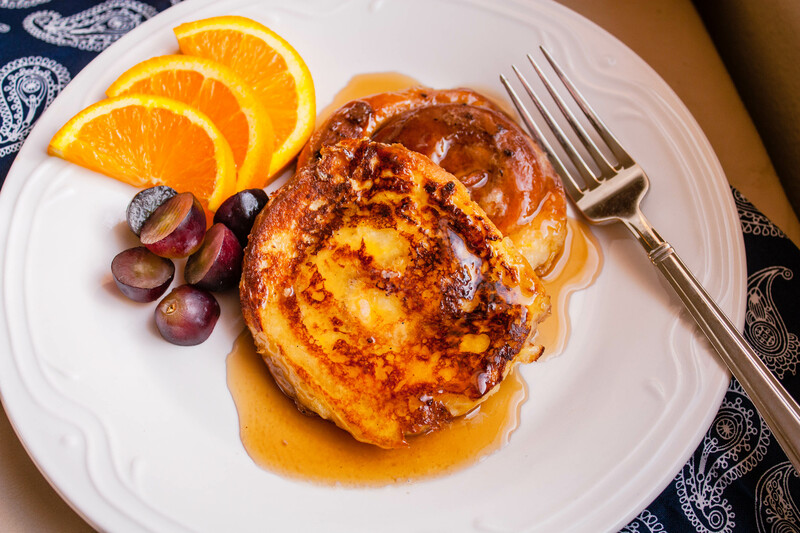 I have a wonderful recipe for French Toast this morning! 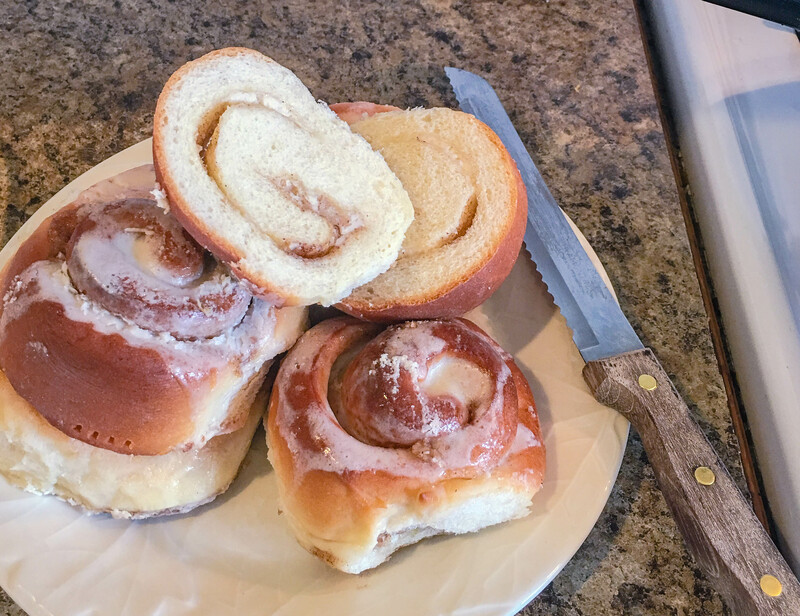 When I was visiting my sister two weeks ago, I made a big batch of my Homemade Cinnamon Rolls – and I mean BIG batch! I thought for sure the cinnamon rolls would be gone in a flash, and many of them were, but as luck would have it, we had a few leftover a few days later and they were getting dry. 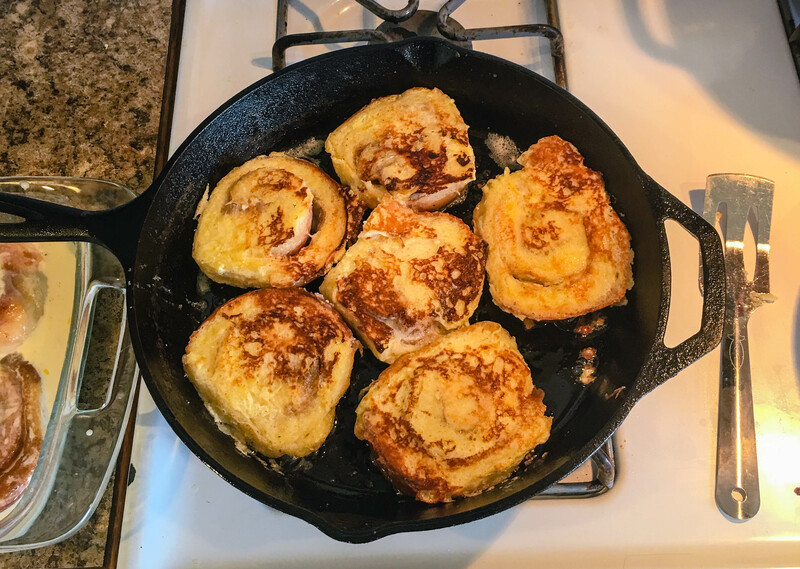 I couldn’t imagine throwing them out, so I decided to make Cinnamon Roll French Toast. And I have to tell you, it was so, so good! Take the leftover cinnamon rolls and scrape off any goopy icing, you can have a little, but if it’s thick, go ahead and scrape most of it off to prevent that side from burning. Carefully cut the cinnamon rolls in half. Prepare a heavy bottomed or iron skillet, set up your dipping station and get ready to start. 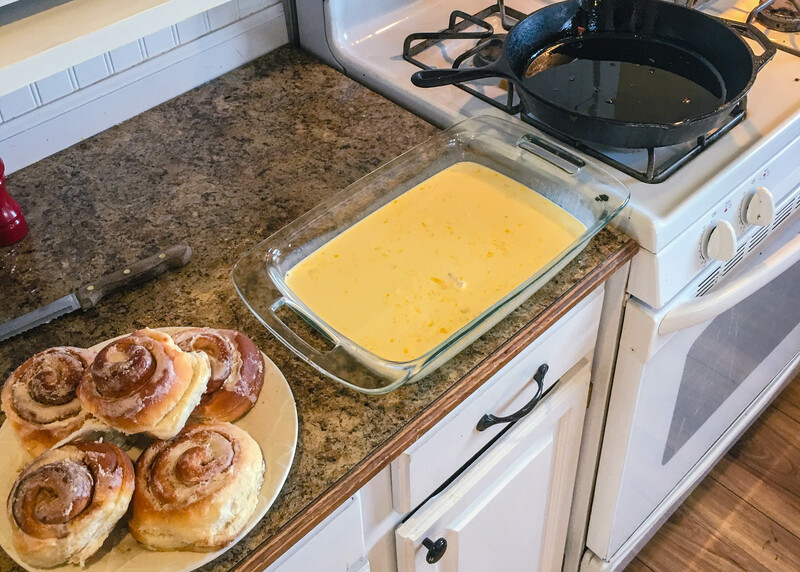 Lay cinnamon roll halves in the egg custard and let soak for about 30 seconds, then turn and let them soak for 30 seconds more so that the rolls absorb a lot of the the custard. Meanwhile, melt a pat of butter over medium-high heat. Place dipped cinnamon rolls cut side down in the prepared skillet. Cook for 2 to 3 minutes. Flip the rolls over and continue cooking for an additional 2 to 3 minutes. 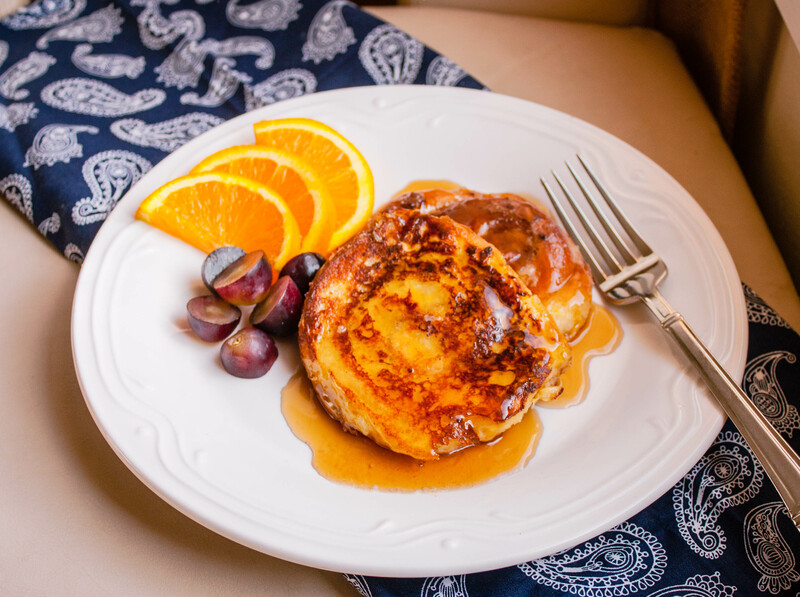 Serve immediately with softened butter, syrup and/or powdered sugar. To keep warm, place on a sheet pan in a 250 degree oven until ready to serve. 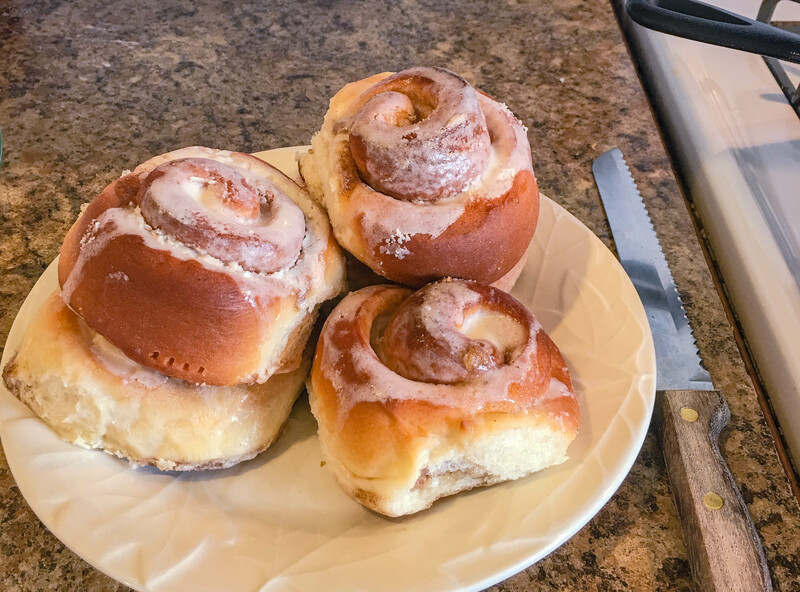 So, IF -and that’s a big IF- you find yourself with some leftover cinnamon rolls that are a little dry, I highly recommend making this recipe! I hope you enjoy! In a medium bowl, whisk together the half and half, eggs, sugar, salt and vanilla until well combined. 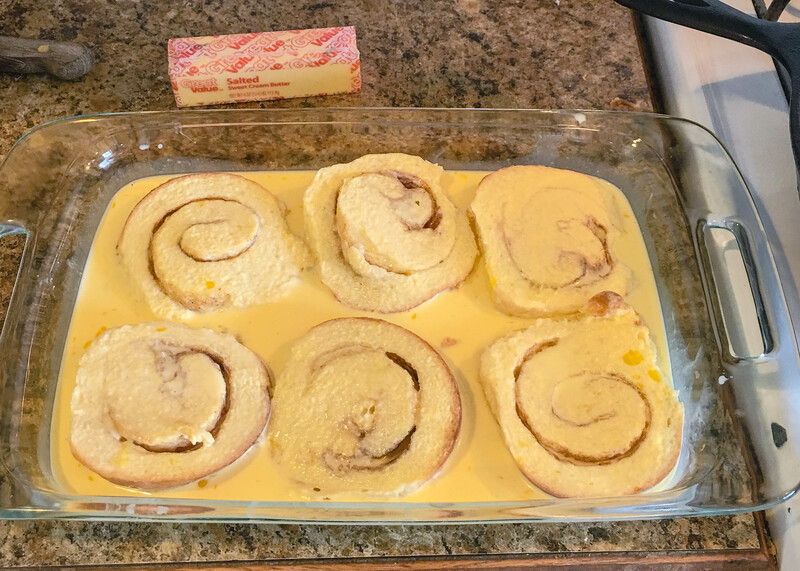 Dip cinnamon roll halves in egg custard and allow to soak for 30 seconds on each side. 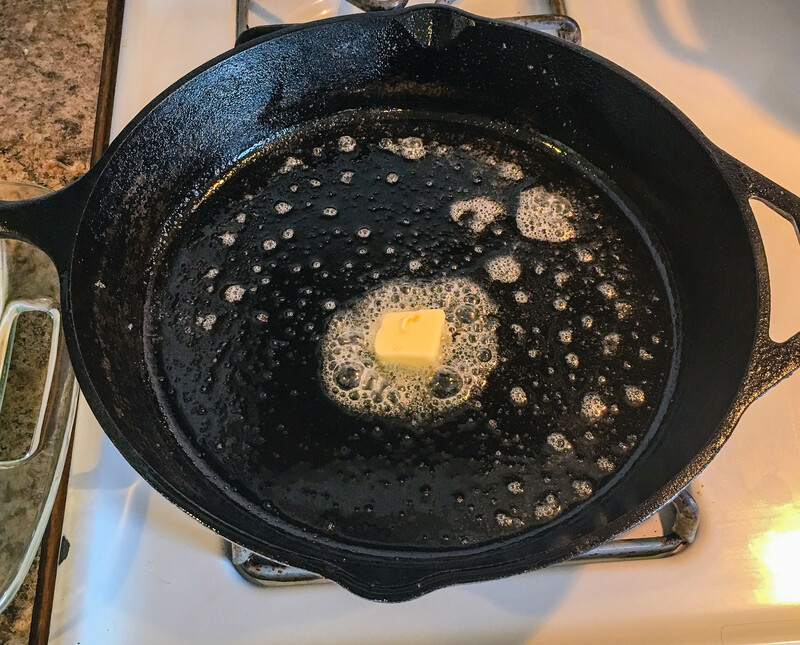 Over medium heat, melt 1 or 2 pats of butter in a heavy bottom skillet or iron skillet. 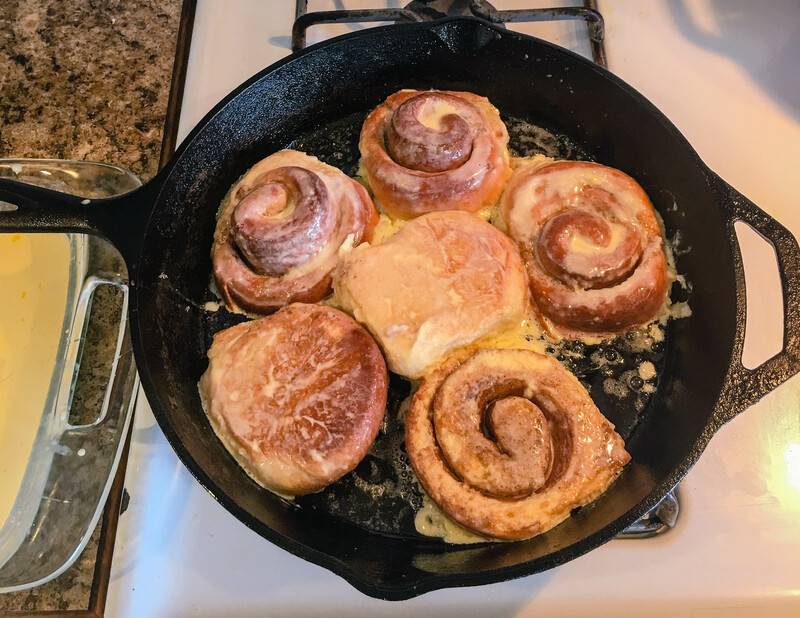 Place 4 to 6 slices of dipped cinnamon roll halves into the skillet at a time. Cook for about 2 to 3 minutes, then flip and cook 2 to 3 minutes more, or until golden brown on each side. Serve immediately with softened butter, syrup and/or powdered sugar. 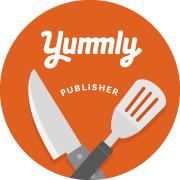 If serving a crowd, preheat the oven to 250 degrees and place cooked cinnamon roll french toast onto a baking sheet and keep warm in the oven until ready to serve.